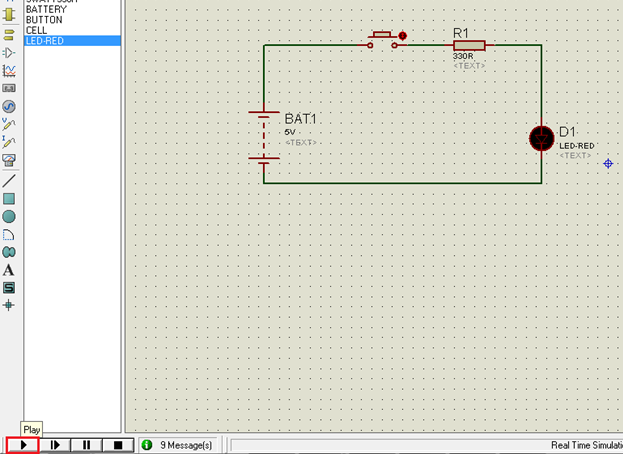 and Electronic circuit design. 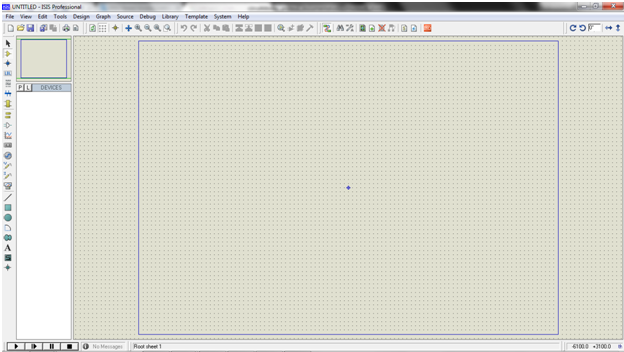 It also possess 2D CAD drawing feature. It deserves to bear the tagline â€œFrom concept to completionâ€. It is a software suite containing schematic, simulation as well as PCB designing. ISIS is the software used to draw schematics and simulate the circuits in real time.The simulation allows human access during run time,thus providing real time simulation. ARES Â is used for PCB designing.It has the feature of viewing output in 3D view of the designed PCB along Â with components. The designer can also develop 2D drawings for the product. 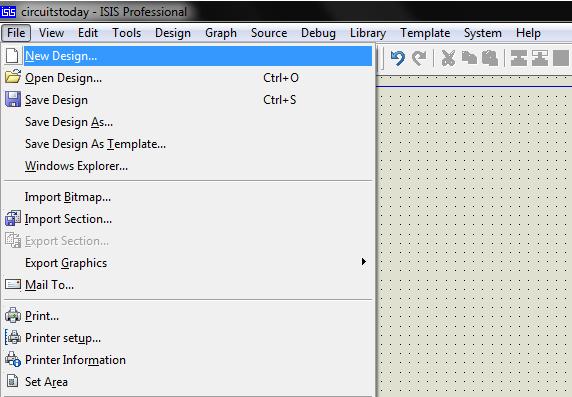 ISIS has wide range of components in its library. It has sources, signal generators, measurementÂ and analysis tools like oscilloscope, voltmeter, ammeter etc., probes for real time monitoring of the parameters of the circuit, switches, displays, loads like motors and lamps, discrete components like resistors, capacitors, inductors, transformers, digital and analog Integrated circuits, semi-conductor switches, relays, microcontrollers, processors, sensors etc. ARES offers PCB designing up to 14 inner layers, with surface mount and through hole packages. It is embedded with the foot prints of different category of components like ICs, transistors, headers, connectors and other discrete components. 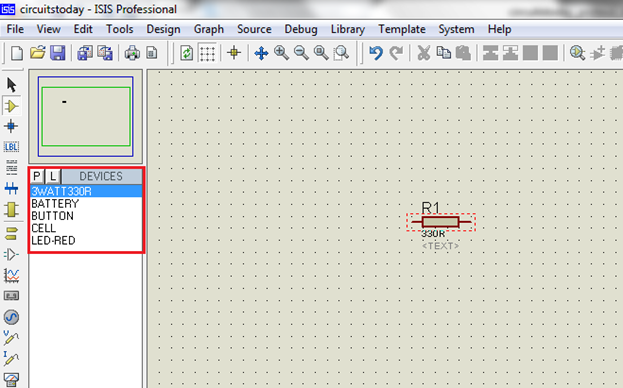 It offers Auto routing and manual routing options to the PCB Designer. The schematic drawn in the ISIS can be directly transferred ARES. Step 2: A dialogue box appears to save the current design. However, we are creating a new design file soÂ you can click Yes or No depending on the content of the present file. Then a Pop-Up appearsÂ asking to select the template. It is similar to selecting the paper size while printing. For now selectÂ default or according to the layoutÂ size of the circuit. Step 3:An untitled design sheet will be opened, save it according to your wish,it is better to create a newÂ folder for every layout as it generates other files supporting your design. However,it is notÂ mandatory. 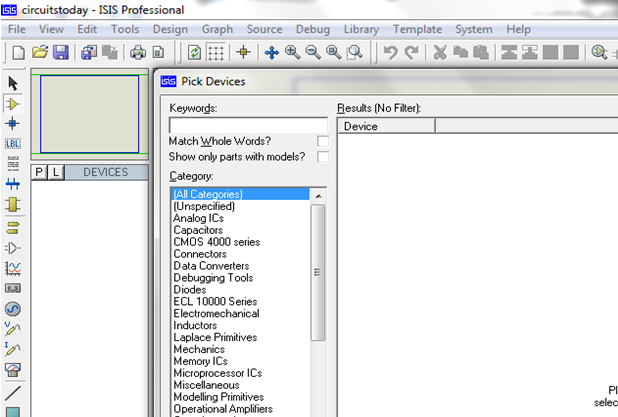 Step 4:To Select components, Click on the component mode button. Step 5:Click On Pick from Libraries. It shows the categories of components available and a search optionÂ to enter the part name. Step 6: Select the components from categories or type the part name in Keywords text box. Example shows selection of push button. Select the components accordingly. Step 7: The selected components will appear in the devices list. 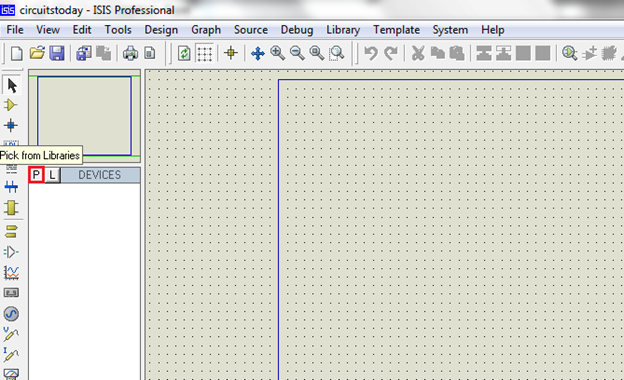 Select the component and place it in theÂ design sheet by left-click. Place all the required components and route the wires i.e, make connections. Either selection mode above the component mode or component mode allows to connect through wires. Left click from one terminal to other to make connection. Double right-click on the connected wire or the component to remove connection or the component respectively. 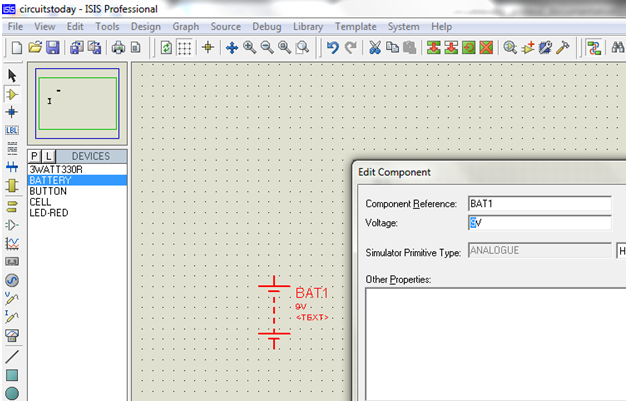 Double click on the component to edit the properties of the components and click on Ok. 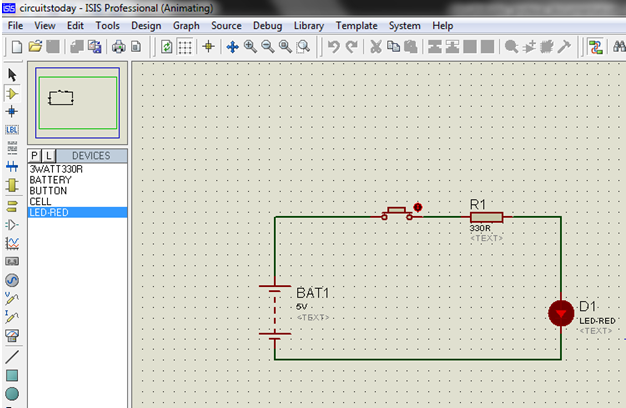 Step 8:After connecting the circuit,click on the play button to run the simulation. In this example simulation, the button is depressed during simulation by clicking on it to make LED glow. Simulation can be stepped, paused or stopped at any time. Okay! 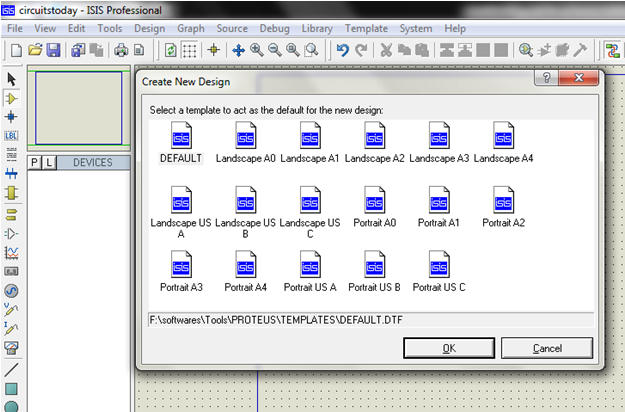 That’s all enough for an introduction to Proteus Software! Now lets get to serious learning. Next chapter or the first serious chapter in this tutorial series Â is – Switches and Relays in Proteus. 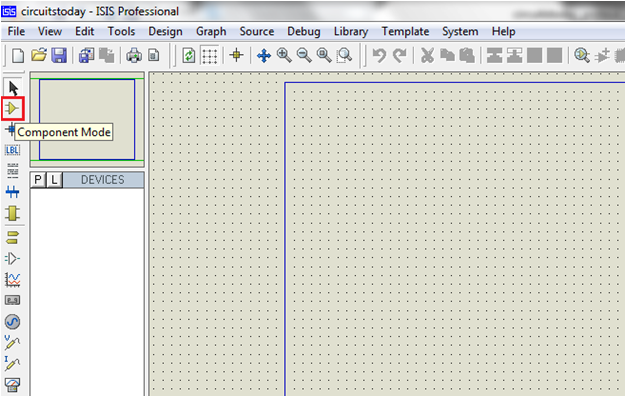 Read this chapter to learn how to work with different types of switches in Proteus. Once you finish the chapter on Switches, go to the succeeding chapter – Tutorial on LED and Bar Graph Display with Proteus – which explains how to work with led’s and different types of LED’s in proteus. I Use cd4049 for buffer circuit. The pin vdd and vss is hidden. 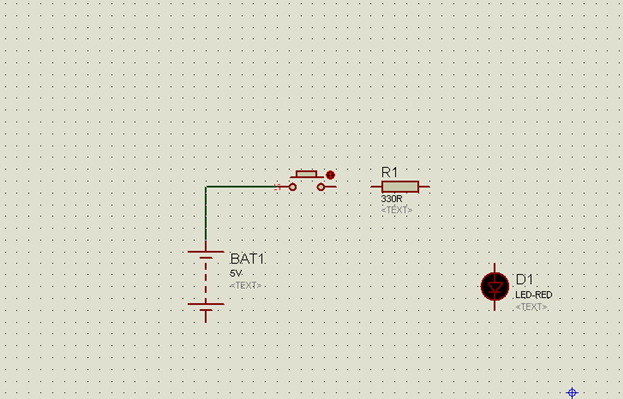 How to connect the both pin to circuit. Vdd and Vss are connected to +5V and GND by default in the simulation software. If the circuit is being tested practically by using the actual components then, connect +5V to Vdd and GND or 0V to the Vss Pins. Any simulation software is used to test the design and fix the bugs, hence Proteus. If you are asking why to choose Proteus, it provides simulation as well as PCB Designing.The simulated circuit can be directly converted to PCB Design. Thanks for your comment, you can go through the next chapters for more examples under proteus category. i want to use raspberry pi. can i use it? Link below would direct to demo version of original and latest version of the software.